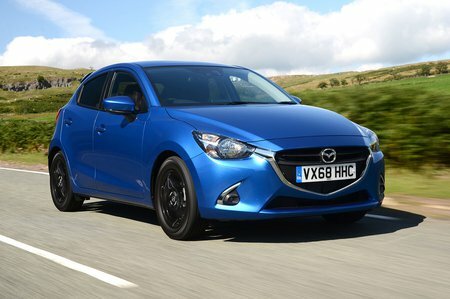 Mazda 2 Boot Space, Size, Seats | What Car? 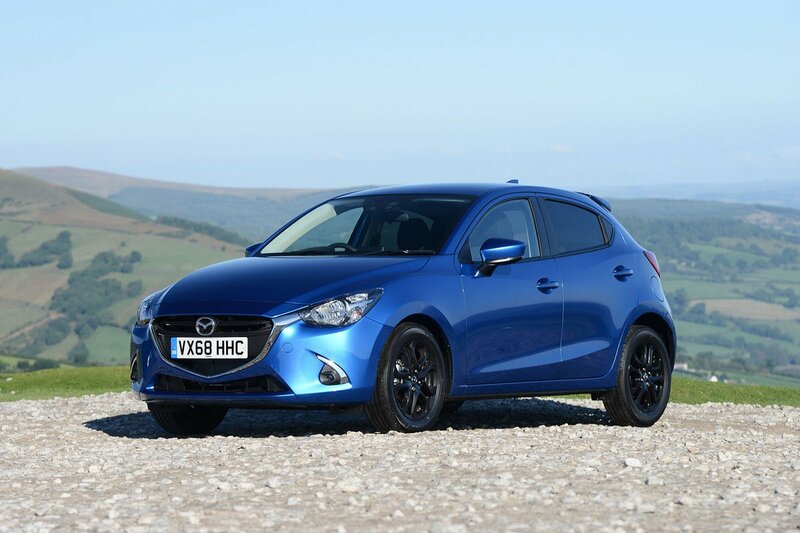 Despite its small dimensions, the Mazda 2 offers plenty of space for two adults in front. There’s more than enough leg and elbow room, and even six-footers won’t find their heads against the roof lining. The 2 also offers a spacious cubbyhole just ahead of the gearlever for throwing small items into, and there’s a cupholder and additional space beneath the armrest. The door bins are big enough for a water bottle as well. Adults will find rear leg room a little tight, and those who are taller than average may find their knees resting against the front seat backs. Head room isn’t especially generous, either. The rear seat is more comfortable for two adults than three – shoulder room is tight and the middle passenger has a raised transmission tunnel to contend with. There are plenty of cars that offer more rear space, including the Ford Fiesta, Seat Ibiza and VW Polo. The driver and front passenger seats both have manual backrest and fore-and-aft adjustment but only the driver has height adjustment. 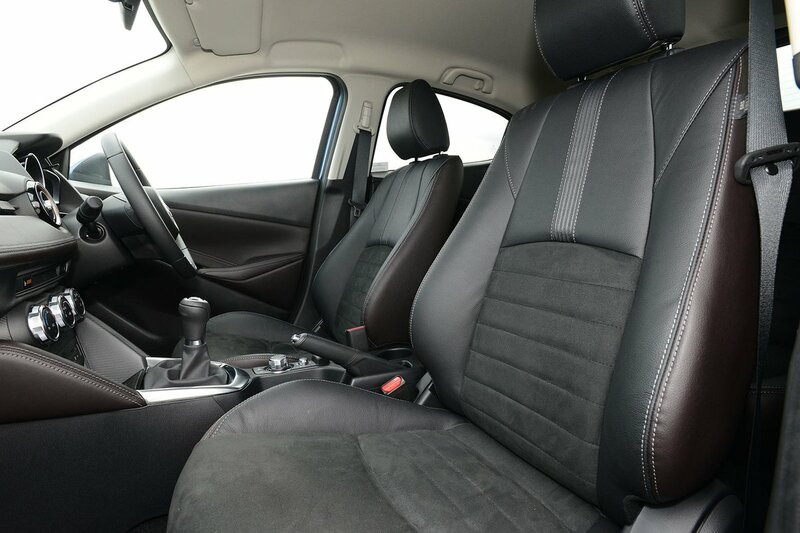 The rear seats don’t offer any sliding or reclining ability, but that’s not unusual in the small car class. They can be split and folded in a 60/40 configuration, though. The 2’s boot isn’t its best asset; it's smaller than boasted by the Fiesta and Renault Clio, and comes some way behind the Seat Ibiza on bootspace. It also doesn’t have the largest of apertures – it’s restricted by curved corners that make loading bigger items awkward, and there’s an inconveniently high lip for you to lift things in and out across. Fold down the 60/40 split rear seats and the space created is smaller than rivals can muster. The boot floor isn’t adjustable for height, either, so you can’t create a segregated compartment for delicate items, and it also means there’s no way to remove the large step that forms when the seats are folded. This makes it tricky to slide across heavy items.